One of the things I get used to get paid for on a daily basis is was to sit and stare at large amounts of numbers and try to make sense of them. The thing that has repeatedly helped me understand those numbers is to develop some way of visualizing these numbers. It is not a popular method because it requires some initial investment of building an analysis tool. However, it is amazing how well the eyes can process large amounts of information (I hope I never go blind) compared to mentally processing lists like 27.45, 27.43, 26.99, … Even looking at one-dimensional y=f(x) diagrams does less for one’s understanding compared to diagrams that are based on what is being modeled. I think this approach can be applied to stock market data (work in progress). I also think it can be applied to personal finance, although that might be overkill. However, I saw some more complex cash flow diagrams from Frugal Retirement that gave me the idea to develop this idea further. You can read more about cash flow diagrams here. We will proceed in three steps. First, draw a box for “you”, “job” (more boxes if you have more than one job), “investments” (things that actually pay you money, your house doesn’t count unless you’re renting out a room), “activities” (such as commuting, watching TV, blogging or other hobbies, eating, exercising, sleeping), also draw a box for “housing” (that could include insurance). Next, draw lines representing the money flows. Try to make the thickness representative of the money that flows between two boxes. For instance, money probably flows from your “job” to “housing” and that is typically represented by a big fat line. Money probably also flows from the “job” to “commuting”. Now using a dashed line, draw the flows of time. There is probably big dashed lines going from “you” to your “job” and to “sleeping”. There’s also a line going from “you” to “commuting” – however, if you’re a cab driver, there might be a line from “job” to “commuting” instead if you can pick up passengers on your way home. Finally, use a dotted line to draw the flow of health. For instance, money and time may flow from “you” to “exercise” and health would flow back. If you bike to work, time would flow from “you” to “commuting” and “health” would flow from “commuting” to “you”. If you drive, time and money would flow from “you”. The challenge here is to devise the categories. They can’t be too specialized, but they can’t be too general either. You want to achieve just the right amount of categorizing and abstracting, where “right” means representative of the underlying reality. Money (representing interactions with other people), time (representing your energy/life) and health (representing your well being) are useful measures. However, many people would probably be tempted to use ‘fun’ instead of ‘health’ for one of their flows. Much thanks to ML for the $10 donation. 15 users responded in " Advanced cash flow diagrams "
Someone ought to make a program that does this. It’s very like a mind-mapping exercise. I bet that the right mind-mapping software could handle this. It wouldn’t be worth the money though. It would be far better to just sit down with some colored pencils and draw it out from your spreadsheet. Ok. So it’s on a diagram instead of a spreadsheet. What are you going to do with the information next and what conclusions have you been able to draw? I used to do something similar but very simple with stress areas. The bigger the circle the more the stress. Helps put things in perspective. Showed me what to work on and what to mellow out about. Guess a bar chart would have worked too. But I got to say that most people will call that nuts. :)lol I just say it’s from my dad’s side of the family. You can do it in Microsoft Excel, and then have Excel print out a bar graph or pie chart. You can run it on a daily basis with macros. I do it that way. Not sure what boxes and lines would do to improve things. Those could make possibly a clearer, easier to observe picture of the flow. (a) Cash in, from all income sources, is greater than cash out, to all expenses or bills or predetermined purchases over a specific time period. (b) The system has a built in accumulator to provide for short term and long term savings growth. (c) The system has a built in accumulator to provide for an emergency fund, which includes at least some of your worst case emergencies. Of course it will not cover all, nor is that an intention of the fund. Cash flow is adjustable through control of either (1) Increasing cash in. (2) Decreasing cash out. (Make more money or cut expenses and purchases). For people doing daily work with investments, I think the “box” diagrams would be helpful. I can actually track most of my cash flow through my various bank statements, and I have never set up Quicken or Quick Books as I find them entirely too complex and time consuming. (Phrase above was stolen from Mike Huckabee). I think what Jacob is getting at, (what bar charts etc. can’t depict), is the flow of all elements in our decisions. Especially the elements that Quicken doesn’t track, i.e. time & health. It’s basically placing all the elements from YMOYL into a graphical depiction. I’m not sure how beneficial the drawing would be if you’ve already bought into YMOYL and ERE. Once that happens, then the obvious goal is to get the cash flow from investments to exceed the requirements of necessary expenditures; and once that happens, job and commute is eliminated. Perhaps the drawing would help show the millstone a large house can become, or how much time and health are used up by job-related activities. Personally, I rather enjoyed Jacob’s simplified cash-flow diagrams. They really showed graphically the difference between poor, middle-class, and wealthy thoughts, attitudes, and actions. Nevertheless, I think this mind-map cash-flow diagramming would be a valuable exercise. I used to do this type of analysis all the time. It’s a great way to visualize complex flows (but I must say that it’s not for everybody). There are a lot of graph mapping programs that will automatically make these type of diagrams (many of these are free and open source). You can even set them up so that you assign qualities to the lines such as associating thickness with some quantitative value (e.g., variable magnitude). One advantage of having it on a diagram is that that you can see a lot of patterns quite easily that might be difficult to discover in a spreadsheet. E.g., chains of nodes, nodes with lots of inflow, nodes with outflows, anomalous connections between nodes, etc. 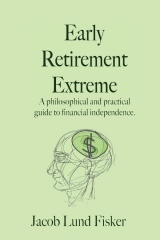 Is it just me or the links to Frugal Retirement are dead? It’s not just you, I can’t access Frugal Retirement either trough that link. I’ve been using this budget excel sheet everyday for the last 10 months, it’s exactly what jacob is describing above. I modified it to my personal colors, and made it into a day to day with monthly tabs calendar to know when & where i spent what. It is interesting the appreciation you show in this article for the visual representation of math. I have often thought the same thing, but it is because I used to see pretty well and got straight A’s in math, sometimes 100% perfect for a whole semester. track of it without the visual representation is a pain. I just hadn’t heard anyone express this connection between visualization and math as strongly as I have noticed it is until now. I don’t know if everyone is that way and suspect that maybe it has to do with cognitive learning style, but not sure. Ever since I experienced that difference though, I have been interested in cognition and learning styles because that made me curious.